News | Quality Production, Inc. The first of a series of videos promoting fishing in northern New York was filmed last week in Massena. WPBS-DT, Watertown, is producing the videos in collaboration with the St. Lawrence County Chamber of Commerce, which is spearheading the regional project to increase awareness of fishing opportunities across the top of the state. 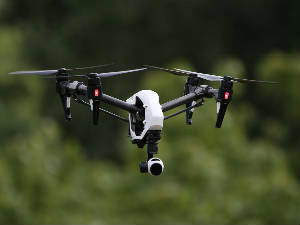 North country drone users and industry watchers are, for the most part, happy with new Federal Aviation Administration regulations for commercial unmanned aircraft use. “It’s a step in the right direction, by all means,” said Jason R. DesJardins, who owns Horizon Aerial Media Services, Glen Park, with his wife, Amanda N.
WPBS-TV in Watertown is one of the few north country operators to successfully apply for a waiver, receiving approval in March.